See what units are available for Fractional Ownership. Find out what's new and learn more about Fractional Ownership. You recieve 4 weeks usage per year on a rotating calendar. Your vacation home is staffed, waiting for your arrival.Your breakfast is served in the morning and housekeeping is provided daily, so your vacation is really a vacation! 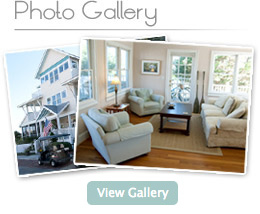 Your ownership comes with membership privileges to the Bald Head Island Club, with small usage fees per visit. You may rent your unused time for income.You may trade your time directly with other fractional home-owners through-out the world through our unique fractionalexchange.com program. Your first year of membership is free. Trade Time and Flex Time is available. You have the use of the Chef's Kitchen, Grilling Pavilion, Common areas, Porches and Decks. Our owners are part of a family; we have everything from special home owners’ weekends, to outings on the island, to simply an impromptu sharing of a glass of wine on the veranda. Fractional sales are offered through Cape Fear Realty. The Marsh Harbour Fractional Development is registered with the NC Real Estate Commission as a time share project and is not valid in any state where time share registration requirements have not been met. For more information or a copy of our public offering statement and related time share documents please contact Rod Hyson Sr. at (910) 279-1303 or rodsr@capefearrealty.com OR Rod Hyson Jr. at (910) 279-2612 or rodjr@capefearrealty.com.